In today’s digital world, we are sitting on zettabytes of digital data generated from various online, as well as offline activities. These data volumes will only grow exponentially, as the trend shows, doubling every two years through 2020 and beyond. Much of this data is private and sensitive; therefore, it requires protection, which in our digital age implies encryption. These challenges broadly apply to all cryptocurrencies. Therefore, crypto holdings need to be secured to continue their exponential rate of growth. 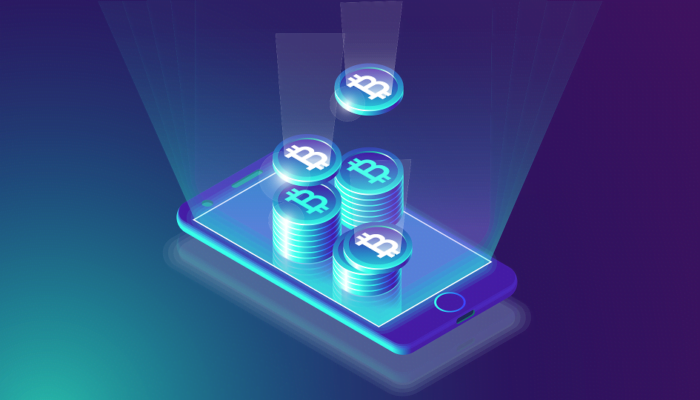 The rise of cryptocurrency has also led to the creation of a whole new system of initial coin offerings where projects attempt to raise funds by selling tokens. However, what was presumed to be a boon to accelerate innovation has turned into a minefield of frauds and scams where unwitting investors have been relieved of their money by conmen. The best example of such ICO scams is HoweyCoin, which was presented as an attractive investment opportunity to be part of a travel network. However, in this case, the project was floated by the US Securities Exchange Commission as an awareness drive. The HoweyCoin project was designed to emulate an actual token sale campaign with an attractive website, a professional looking whitepaper with a complex yet vague explanation of the investment opportunity, promises of guaranteed returns, and a countdown clock that shows time is running out on the deal of a lifetime. It also included team information along with celebrity endorsements. The takeaway from this exercise is to be vigilant and conduct a thorough due diligence to establish the credibility of the project to protect yourself from being scammed. But saving oneself from a fraudulent token sale is not the only thing crypto investors have to worry about. It is also important to ensure the security of the cryptocurrencies that are already in your possession. In order to do that, you should make use of reliable cryptocurrency storage solutions known for their security features. In addition, you should also pick an exchange or trading platform with extensive support for a range of cryptocurrencies and tokens, along with an active and prompt customer support team to resolve any issues that might occur at any time. It always helps to keep cryptocurrencies in their respective wallets rather than storing them on exchange wallets. Unlike standalone wallets, the private keys belonging to the exchange wallets are never in users’ control, leaving them at the mercy of these centralized players. Now that the importance of wallets is established, it is time to look into some of the most popular cryptocurrency wallets. Jaxx is one of the most popular cryptocurrency wallet applications. The platform rightly calls itself the blockchain interface, as it supports a wide range of cryptocurrencies. The Jaxx blockchain wallet allows its users to have complete control over their funds. In addition, the platform is always working on adding support for the next best cryptocurrency so that its users can just use one wallet application to manage their entire crypto-portfolio. Jaxx also integrates ShapeShift, which allows users to convert one ShapeShift supported crypto to another from within the application. The “Rolls Royce” of hardware wallets! It is by far the most advanced hardware security gear on the market. It comes with a large, colored touchscreen, Bluetooth, and a rechargeable battery, and is lightweight for easy transportation and storage. Ledge BLUE with multi currencies and is compatible with other apps. Ledger also offers enterprise-level security, something that not all hardware or software wallets offer. KeepKey is a simple hardware wallet that secures Bitcoin, Ethereum, Litecoin, Dogecoin, Dash, and Namecoin. It claims to protect assets from hackers and thieves. The simple, yet effective hardware wallet is also virus and malware proof as it doesn’t have its own operating system. It is a 100% open source firmware that works flawlessly on PC, Mac, Linux, and Android. NAGA WALLET is a cutting-edge, cryptocurrency wallet that allows users to securely store six of the world’s leading digital assets – BTC, LTC, DASH, BCH, ETH, XRP & NGC – alongside all ERC-20 compatible tokens. The highly versatile wallet is NAGA’s secure solution to the persistent challenges dogging digital asset ownership which serve to impede the mainstream adoption of cryptos. NAGA WALLET users can even send coins and tokens directly to their contacts through their email address! The NAGA WALLET is also a multi-currency payment gateway, equipped with a multi-factor authentication system, providing users with the highest level of security. A key feature of the NAGA WALLET is its user-friendly interface, which makes it perfect for both beginners and pros of the crypto world. Once your cryptocurrencies are secured in a reliable wallet, and ample due diligence has been conducted before investing in any token sale, one can breathe easy. And in the end, the key to holding long enough to prosper is to remember that “if anything seems too good to be true, then it probably is”.